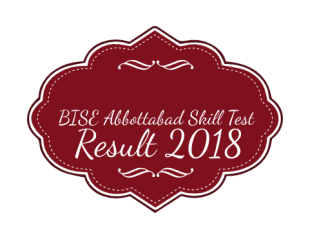 NTS Skill Test BISE Abbottabad Result has been announce. Written test held on Saturday 20th & Sunday 21st January, 2018. While the skill test held on Friday 9th February, 2018. All those candidates who were in a test for the jobs in Board of Intermediate And Secondary Education, Abbottabad. Now waiting for their result which is available here as well as Multiple choice questions marks. Board of Intermediate And Secondary Education, Abbottabad is the Intermediate Education Governmental body in Pakistan. BISE Abbottabad is authorized with financial and administrative authority. Function of BISE Abbottabad is to organize, manage, regulate, develop and control intermediate and secondary education in general as well as accomplish examinations in the institutions affiliated with it. Skill test result is available and you can even download your result. You can check your result for BISE Abbottabad For Year 2018 by entering your roll number. After entering roll no, (issue to you by National Testing Authorities) enter the correct captcha code and then click search button. Another way of checking skill test result by entering CNIC. Candidates can also get print of their result. NTS Call Center is now worldwide activated. Students can contact on the number given below for all their questions and concerns. This number is operational. Students can now contact on this number and all other numbers for info/query are inactivated with immediate effect all over the Pakistan. Phone: +92-51-844-444- 1. If you are facing any problem in viewing NTS Skill Test BISE Abbottabad Result. Then send your details (roll number, CNIC) via comments. We will help you and send your result immediately.